Darden Restaurant's shares are soaring, after the CEO of the company — which owns chains including Olive Garden and LongHorn Steakhouse — said that the casual dining industry's destruction at the hands of millennials has been over-hyped. "Millennials still want to come to restaurants," Gene Lee, Darden Restaurant's CEO, said in a call with investors on Tuesday. "I know you all don't think millennials go to casual dining restaurants, but 30% of all our guests are millennials." Millennials make up roughly 24% of the total US population, meaning that these younger diners account for a disproportionately large proportion of Darden Restaurants' customers, something Lee says is due to chains' ability to offer menu items that customers are interested in at the correct price point. Attracting younger customers is paying off for the company. Six out of seven of Darden's restaurant brands grew same-stores sales in the fourth quarter, with the exception being Seasons 52. 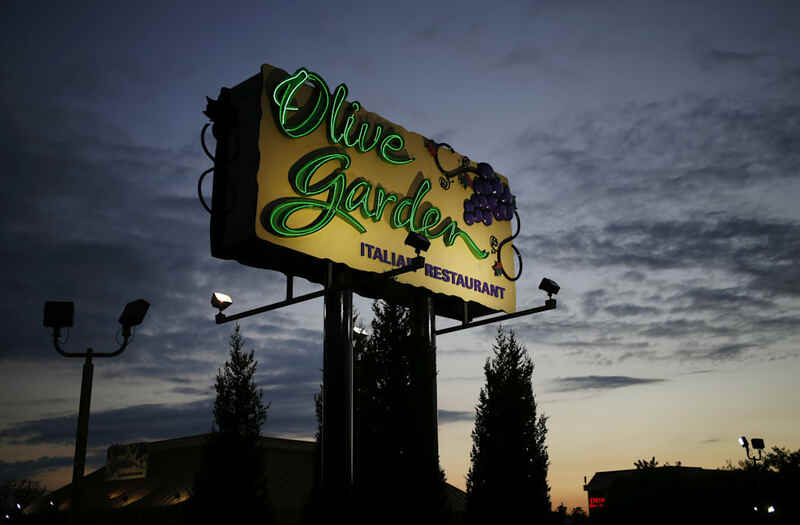 The company's two biggest chains, Olive Garden and LongHorn Steakhouse, increased same-stores sales by 4.4% and 3.5% in the quarter, respectively. The company's shares soared after reporting fourth quarter earnings on Tuesday, hitting an all-time high of $95.22. While Lee has hard data backing his claim that millennials are still visiting at least some casual dining chains, others in the industry are less confident about chains' ability to appeal to younger customers. "Casual-dining restaurants face a uniquely challenging market today," Buffalo Wild Wings CEO Sally Smith wrote in a letter to shareholders in late May. According to Smith, who announced in June that she would step down as the company's CEO after a months-long battle with an activist investor, these sit-down restaurants' struggles can be blamed in part on millennials. "Millennial consumers are more attracted than their elders to cooking at home, ordering delivery from restaurants, and eating quickly, in fast-casual or quick-serve restaurants," Smith wrote. Casual dining chains have been searching for solutions, including adding more alcohol and budget-friendly options to menus, investing in new tech, and growing take-out sales. Some chains, like Fridays, which is rebranding as a "gastropub," are trying to distance themselves from the casual-dining industry all together. "When you look at the alternatives out there in the marketplace today and who's creating buzz and creating excitement, it's gone away from chain casual dining," John Antioco, the former CEO of TGI Fridays, told Business Insider. However, according to Lee, casual dining chains aren't struggling because of millennials' tastes — it's because of their subpar execution. The CEO says that Darden's success is rooted in simplifying business, adding quality menu items, and boosting customer satisfaction rates. And, right now, Olive Garden and LongHorn Steakhouse have the figures to back him up.